Benjamin Eikel's Combination of Bullet and OpenSceneGraph (be_cbo) is a small program written in C++ that I have created for fun during my free tune. Basically I wanted to get to know the Bullet engine. 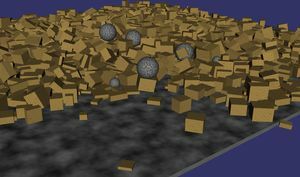 The program is able to create objects in a 3D scene. These objects are simulated physically by the Bullet library. 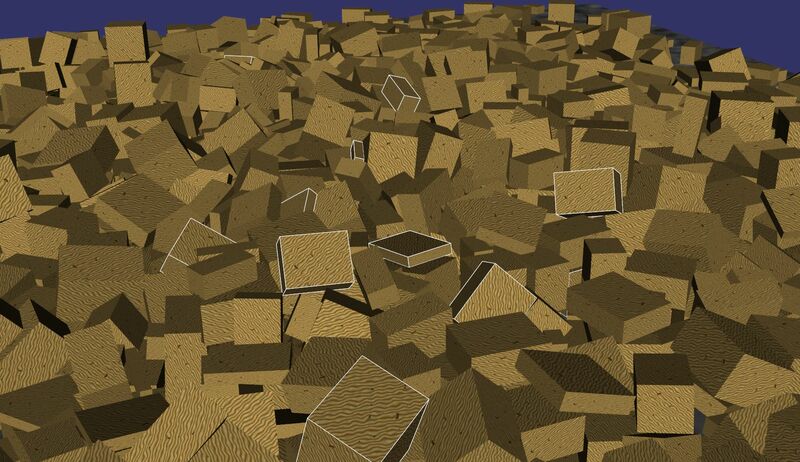 The OpenSceneGraph library does the rendering of the objects. 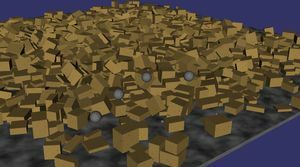 During runtime the user can select and delete objects in the scene. 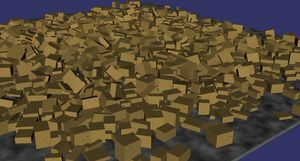 He can create new cuboids, which will fall down from above, or throw spheres of three different sizes into the scene. 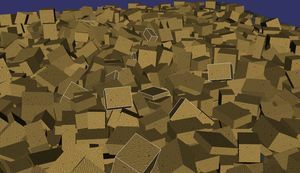 Scene with hundreds of cuboids colliding with each other and the ground plane. 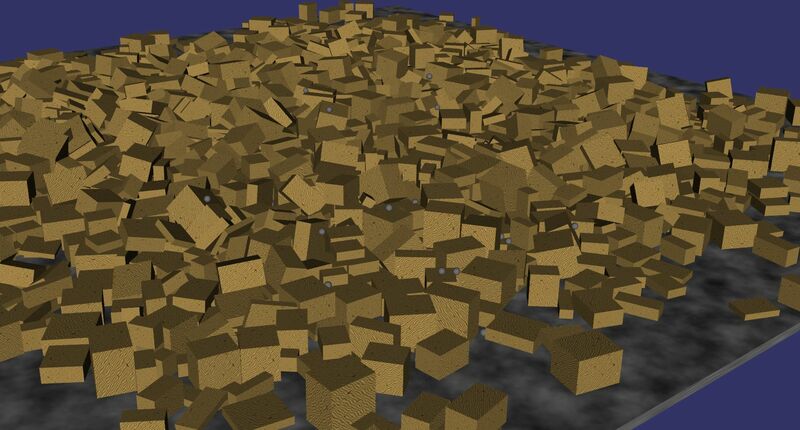 Objects can be selected with the mouse in the 3D scene. Selected objects will be highlighted and can be deleted. 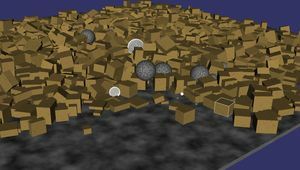 Small spheres can be thrown into the scene. 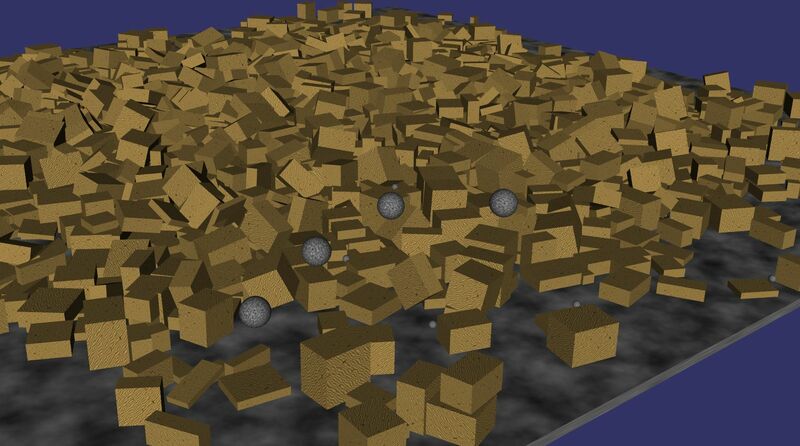 Medium spheres have higher mass than the small ones. 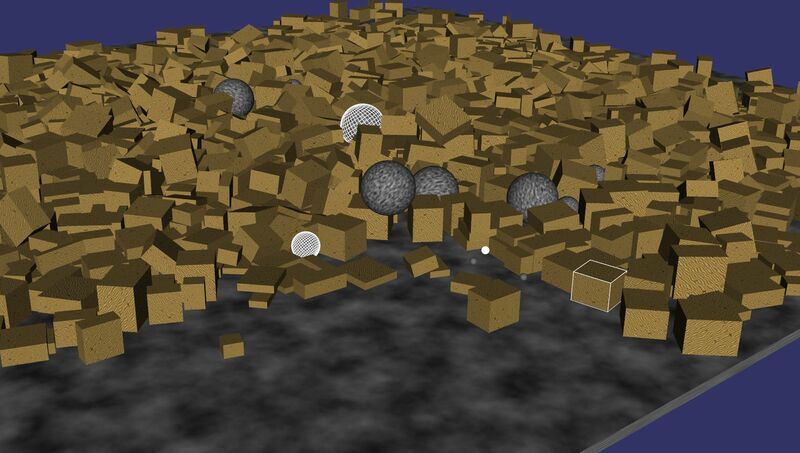 Big spheres with even higher mass clearing up the ground plane. 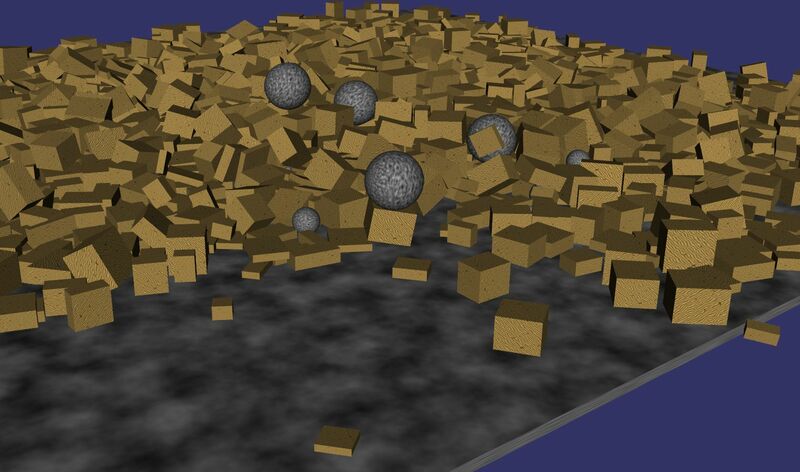 Another example of selected objects: Spheres of each of the three sizes and a cuboid are highlighted.